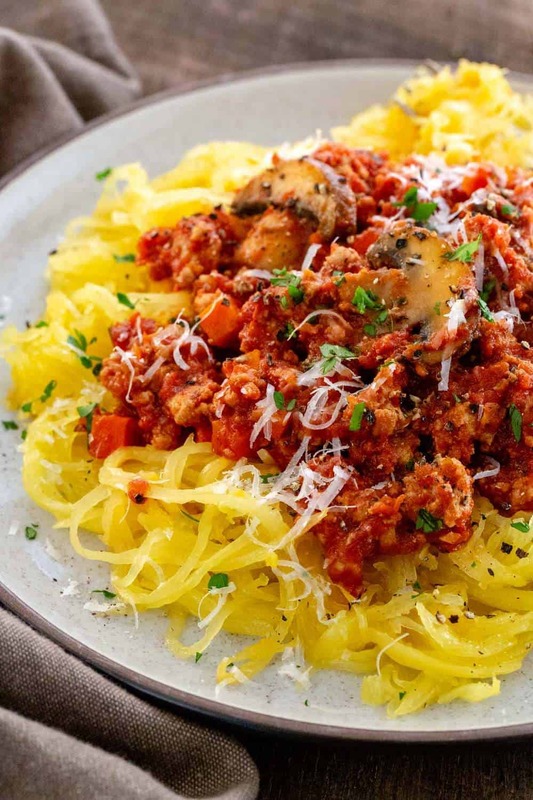 Turkey Bolognese with Roasted Spaghetti Squash is a hearty Italian feast with a low carb twist. 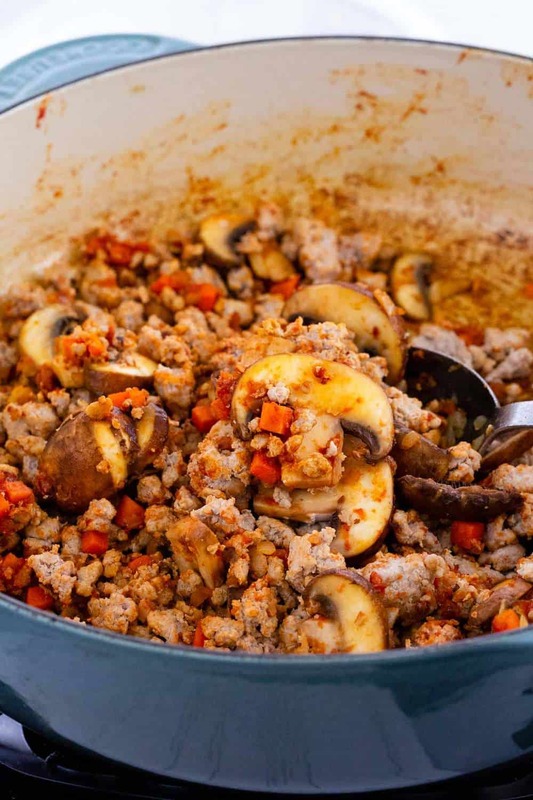 Ground turkey is gently simmered with carrots, onions, and mushrooms in a rich tomato sauce. The flesh of the squash separates into strands to mimic pasta noodles for a tasty vegetable-packed meal. Hi there! 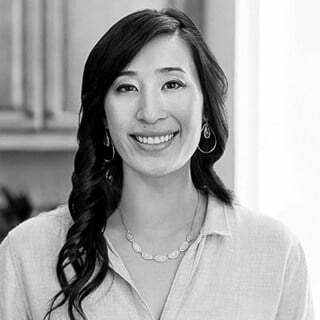 It’s Jessica Gavin, Certified Culinary Scientist and I’m excited to share this simple turkey bolognese with roasted spaghetti squash recipe with you. If you’re looking for a satisfying Italian dinner, yet want to sneak in some extra vegetables then this dish is for you. 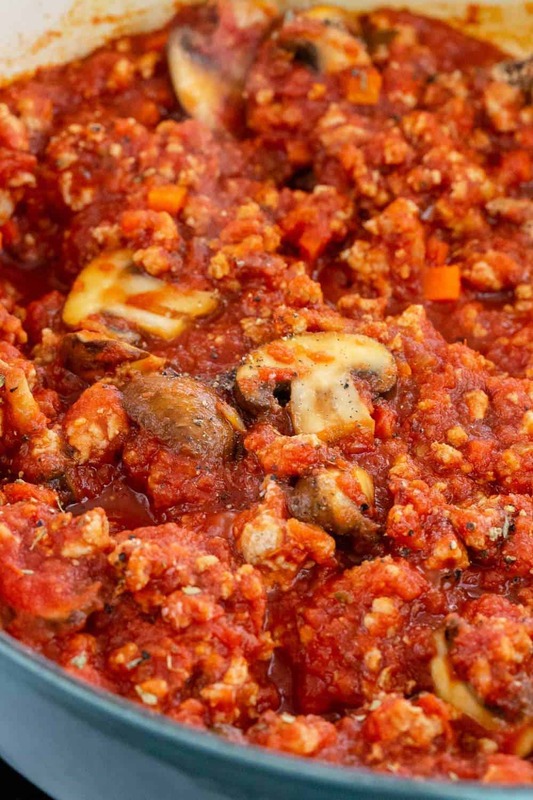 A hearty bolognese sauce packs in the protein and vegetables while the serving it on a bed of squash. I’m a big fan of beef bolognese, but to lighten things up this version features ground turkey. The poultry nicely infuses all of the aromatic flavors of garlic, onions, and oregano while tenderizing from the acidity in the tomatoes. As the sauce cooks the flavors meld together making it hard to resist grabbing that extra spoonful to load on top of the squash. Lean ground turkey meat is neutral in taste but develops a nice flavor when browning the surface in a hot pan. I first cook the meat separately to ensure there’s plenty of room to sizzle before removing and adding the vegetables so that the turkey doesn’t overcook and become dry in texture. To further build the flavor base of the sauce, garlic, onions, carrots, and mushrooms are sauteed until fragrant and tender. I like to saute the tomato paste for about a minute before adding the crushed tomatoes to coax the natural sweetness out of the concentrate. I’m really picky about the type of canned tomatoes I use and have found that San Marzano or vine-ripened products from Italy give the most balanced and pronounced flavor. Giving the sauce time to simmer intensifies the flavor in a short period of time. The acids in the tomatoes help to break down some of the proteins in the turkey, making for more tender and soft chunks of meat. As the moisture from the sauce gradually evaporates, the ingredients become more concentrated. The result is a thick and hearty bolognese that tastes even better the next day too if you’re meal prepping or just cooking extra for later. Have you ever tried spaghetti squash? I recently became obsessed with the long strands that make a seamless substitute for wheat-based pasta. It’s really easy to prepare and cook spaghetti squash. For this recipe, I sliced them into rings and roasted them at 400 degrees until tender. This yields the longest strands by carefully separating the flesh with a fork. 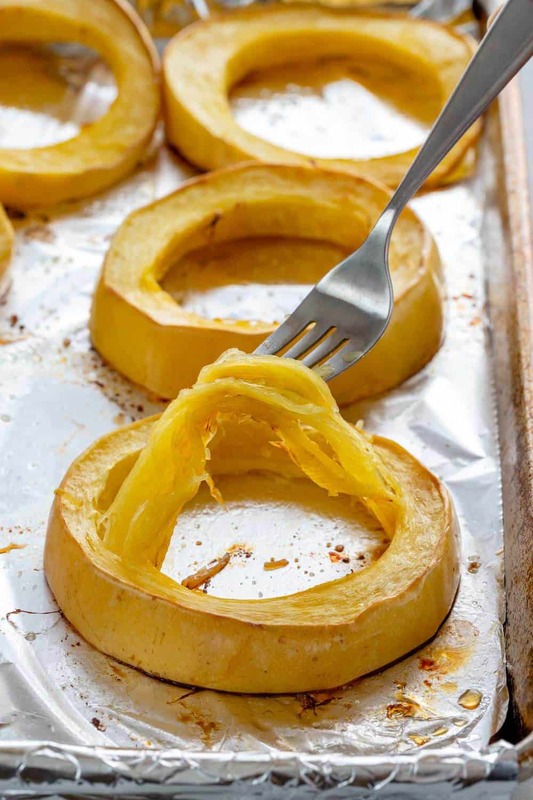 You can also cut the entire squash in half if you’d like to eat your meal straight from the “boat.” Using this ingredient is a nice switch up from other low carb options like zucchini noodles and its grain-free too. So grab a bowl, add in a pile of golden vegetables and top with a generous serving of bolognese sauce. Grating some aged Parmesan cheese and sprinkle with fresh parsley adds the finishing touches. You’ll love how you can twirl the squash noodles around your fork just like conventional spaghetti. This recipe is also great for using up any leftover roasted turkey breast. Just add in the shredded meat into the sauce for a quick and easy meal solution. 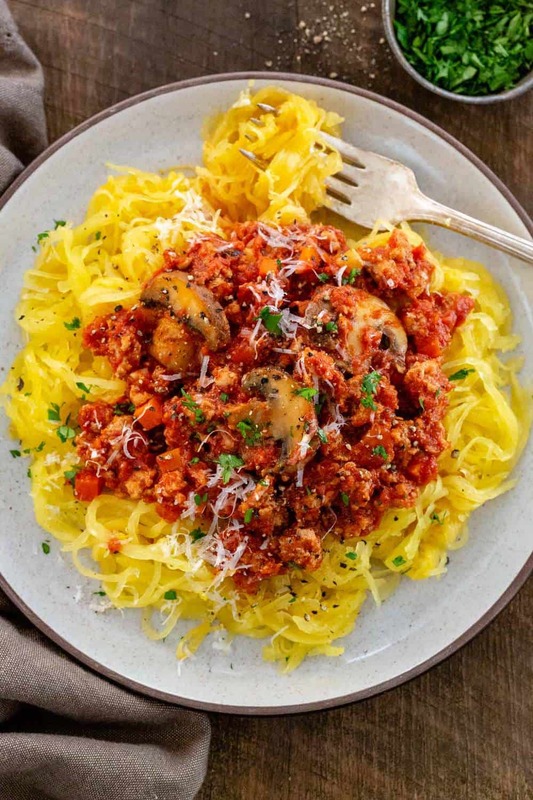 Turkey Bolognese with Roasted Spaghetti Squash is a hearty Italian feast with a low carb twist. Place the oven rack in the center position, preheat oven to 400°F (204°C). Line a large baking sheet with foil. Cut spaghetti squash into 1-inch wide rings, scoop out the seeds, and transfer to a baking sheet. Lightly brush rings with olive oil and sprinkle with salt on both sides. Roast until tender, about 35 to 40 minutes. Cool slightly and then use a fork to remove and separate the strands. Heat 2 tablespoons olive oil over medium-high heat in a large heavy saucepan. Add ground turkey, break the meat up into smaller chunks. Brown the meat, stirring occasionally, about 5 to 7 minutes. Transfer cooked meat to a medium-sized bowl. Turn heat down to medium-low and add 1 tablespoon of olive oil to the pan. Add carrots and onions, stir and cook until the vegetables begin to soften, 4 to 5 minutes. Add garlic and cook for 1 minute. Add sliced mushrooms and cook for 2 minutes. Add the tomato paste and cook for 1 minute. Add the browned meat, crushed tomatoes, oregano, salt, and pepper then stir well to combine. Simmer the sauce over medium-low heat. Cover the pan, leaving a small opening for steam to escape. Cook sauce until the meat is tender and the flavors have melded, at least 30 minutes to 1 hour, stirring every 10 minutes. Add some water if the sauce starts to look dry. Top roasted spaghetti squash with turkey bolognese sauce and garnish with grated Parmesan cheese and parsley. this stuff is sinfully delicious. how many weight watcher points is it do you know? I am not affiliated with Weight Watchers. You will have to seek out their assistance.